Texas has no shortage of beautiful native wildflowers. 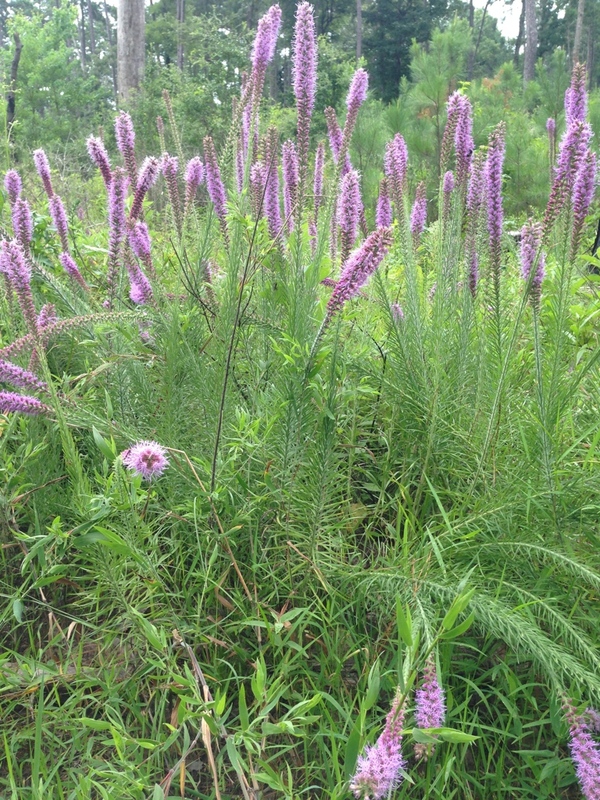 Gayfeather is among the most finely attired in the Lone Star State’s pageant of wildflowers. Standing taller than most, it draws your attention with its distinctive purple-pink spikes and tassels. This showy flower that resembles a bottle-brush makes its debut in pastures, prairies, and roadways in July and hangs around until October. Here are a few interesting facts about Gayfeather. 1. Gayfeather is a plant with aliases. Gayfeather is also known by other show-bizesque names like Blazing Star and Button-Snakeroot. There are 43 species of plants in this handsome family. Identifying particular species can be hard because the species have a tendency to cross. 2. Gayfeather is a great garden plant. This perennial plant can take the heat, is deer resistant, and requires no pampering — making it a popular choice for low-water xeriscapes. You can, essentially, plant Gayfeathers and then leave them alone. They won’t hold it against you and will not disappoint you. 3. Gayfeather is an attractive plant. 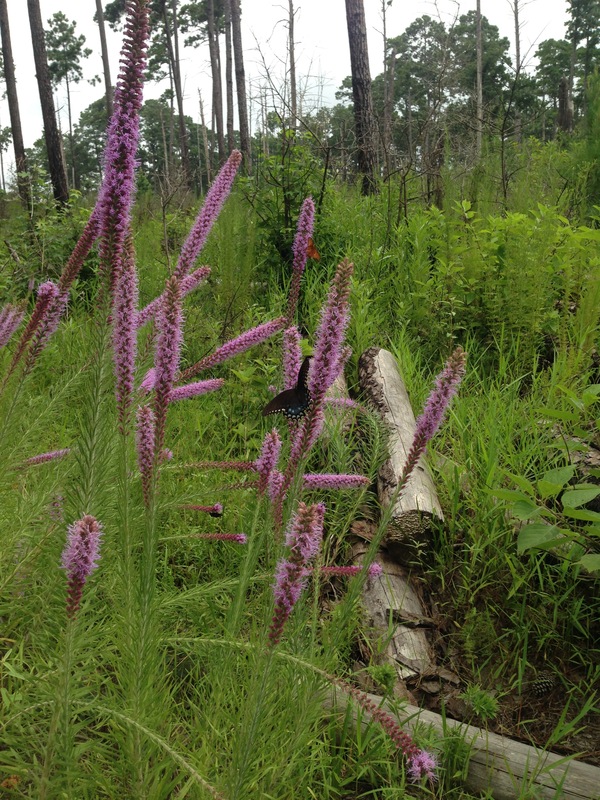 Gayfeather plants are a favorite dining spot for bees, butterflies, and other pollinating insects. Hummingbirds are also quite fond of Gayfeather. 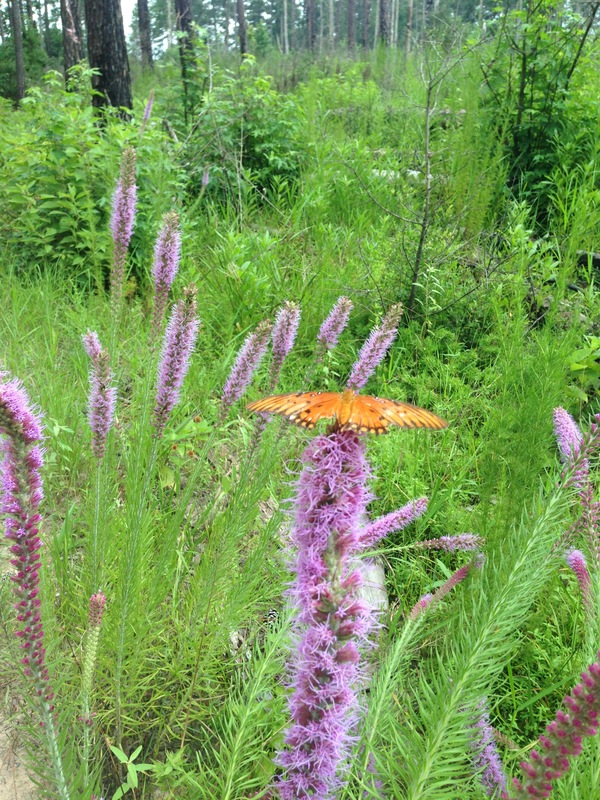 This plant is the perfect addition to any butterfly garden. 4. Gayfeather plants bloom from the top down. Gayfeather plants bloom from the top down. Each flower spike starts to bloom at the top and slowly descends toward the base. The flower spike will have blooms on it for a long time. Gayfeather is a favorite in the cut flower industry because, when dried, it hold its color for a long time. Native Americans discovered many medicinal qualities in the Gayfeather plant. The Cheyenne ground and used the roots to make a medicine to relieve headaches, arthritis, fever — and to treat measles, smallpox, and earaches. The Paiute shelled, cooked, and ate the small feathered nuts of the plant. Other Indians used the leaves to relieve upset stomachs and as an antiseptic wash.